After being hit by a car last spring, during my rehab and physical therapy, I set some goals. 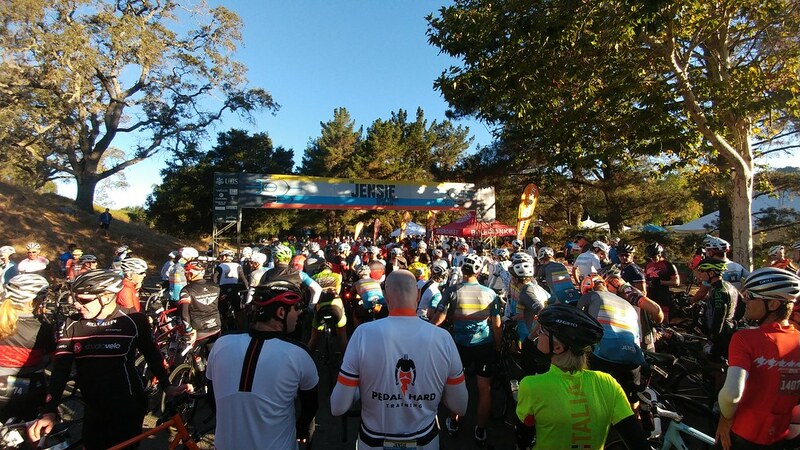 • Ride the "Shut Up Legs" route of the Jensie Gran Fondo in Marin Country - (done - this last Saturday). The Jensie thing was also a mini-vacation from work. I thought it would be fun to have a big ride out of state somewhere. I drove down from Seattle on Wednesday and checked into a hotel in Novato CA. 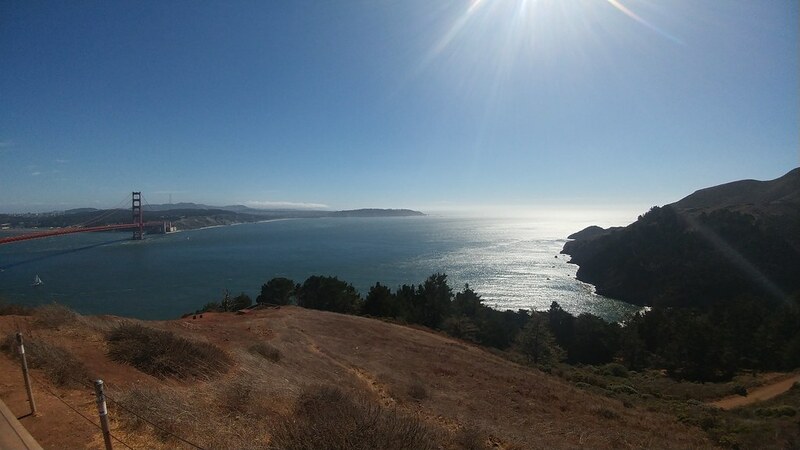 Thursday, I took the bike on a loop around the Marin Headlands and got some pretty epic pictures of the Golden Gate Bridge. Then I stopped in at Studio Velo in Mill Valley to pick up the rider packet for the ride on Saturday. 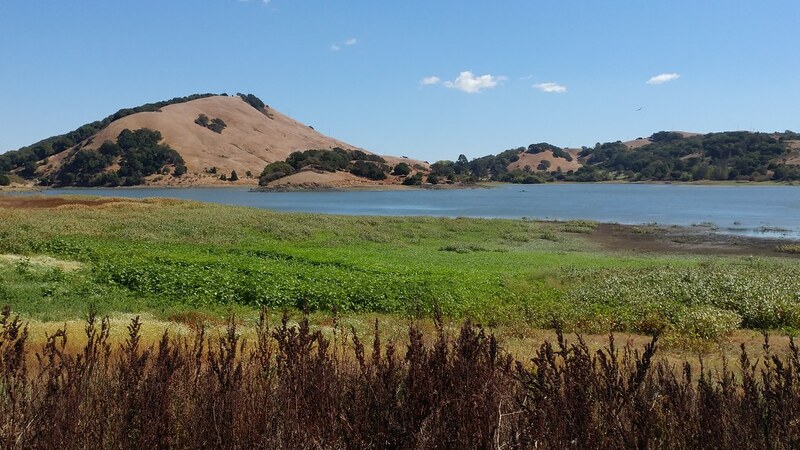 I also drove out the Stafford Lake, where the ride starts and took a few pictures. Then rested on Friday. Unfortunately, I got sick (upper respiratory bug of some kind) the week before. I was feeling better, but still not 100% when I got up for the big ride on Saturday. The weather was great. Cool in the morning (high 50s) and warm and sunny in the afternoon. 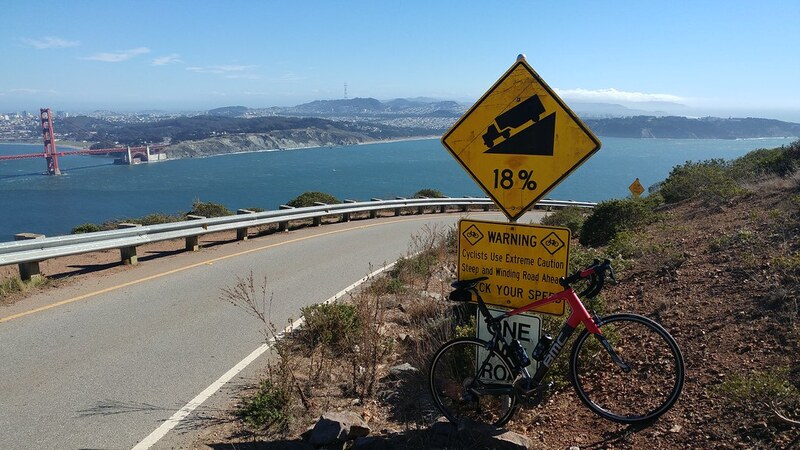 It was a tough day of riding, with 8000 feet of elevation gain and lots of stiff headwinds going north along the bay. It was difficult, especially after 15 hours of driving, and suffering from the bug, but overall, I'd say it was worth it. The calm before the chaos. 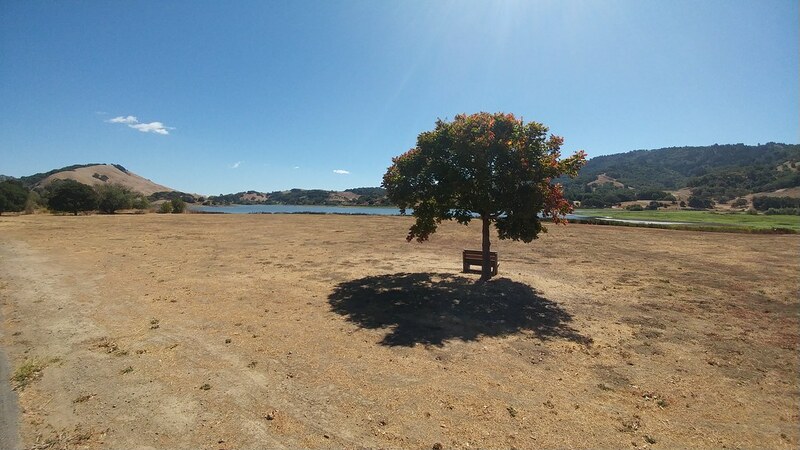 Stafford Lake Park on the Thursday before the big ride. The place seemed desolate. Quite a contrast to Saturday, when there were thousands of cyclists, families, and support people. At 235lbs, I'm not much for riding up big/steep hills (down is another story). 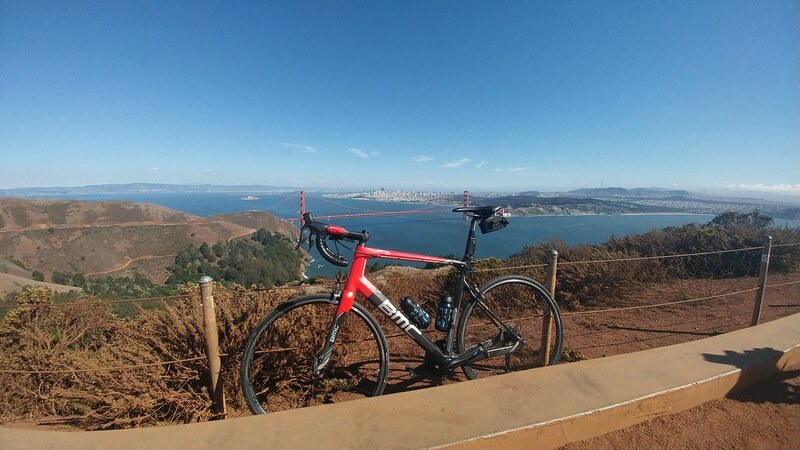 The ride up Hawk Hill overlooking the bay was hard, but honestly, I think this is the first time in my life riding up something like this and being glad I did it afterwards. The views from up here are really epic. This is a view from one of the overlooks of the road coming up the side of the mountain. My favorite shot from the entire trip. My trusty BMC Gran Fondo GF-01 overlooking the bridge. Another view of the bay looking more towards the west. At the very top, just before the big decent down hawk hill. 18% grade. It's steep, and windy, and fast, and the views are epic. Riding down that is quite a thrill. I'm glad I got to do it. Here is a youtube video from the handlebar perspective. The stats on the page are fairly close, but not 100% accurate (especially the %grade). This video was taken from a friends bike. Towards the end he catches up to me (I'm in the "Jensie" jersey) and we ride the rest of the way to the tunnel on our way back to the bike shop. 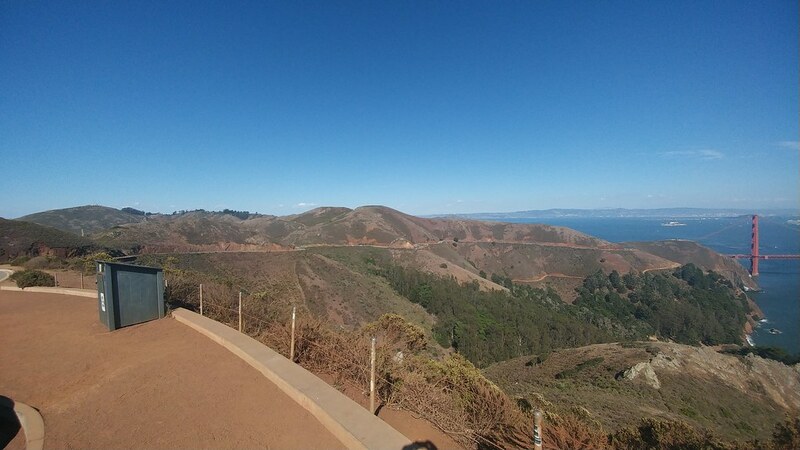 And here is a 'Relive.CC' video of the Marin Headlands loop from Studio Velo. These videos are really cool. They are made using GPS and ride metric data pulled down from Strava. 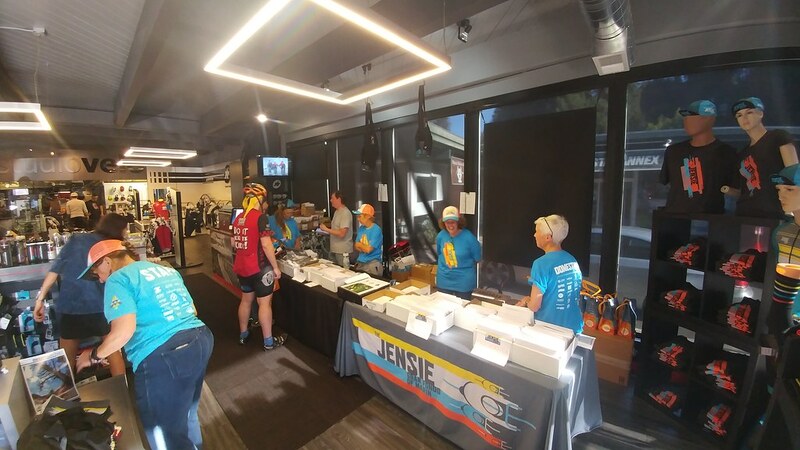 I didn't take a lot of pictures during the Jensie ride. 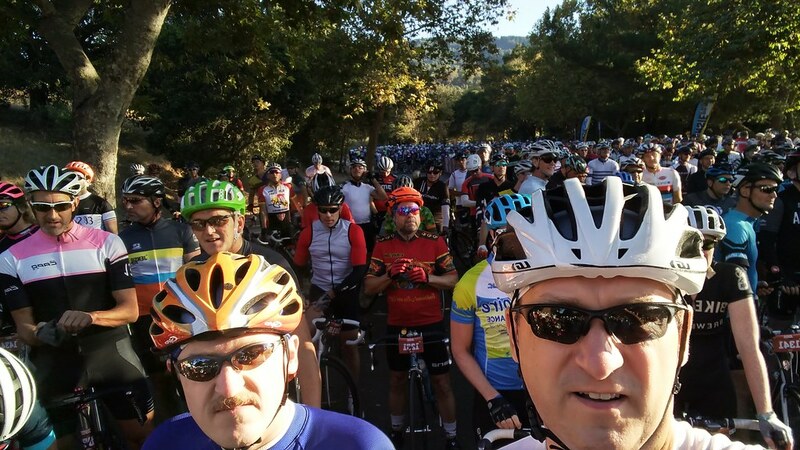 Just a few at the start, and then a few riding up toward the top of Mount Tamalpais. I needed those stops to let my heart rate recover. That was 9 miles at max heart rate. The pictures were a good opportunity to recover a bit. Some of the awesome "Domestiques" assisting at Studio Velo with packet pickup duty. Staging area just a few minutes prior to the start. Looking back at the long line of riders staging prior to the start. 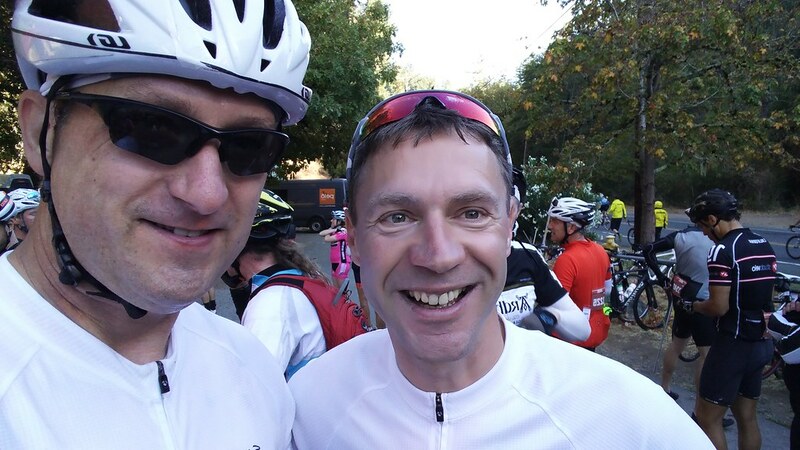 I'm not a big selfie taker, but Jens Voigt was being very generous with his time. This was at the first rest stop, where he could mingle with all of the riders before the routes split. This would end up being the last time I saw him, as I got back to the lake pretty late. It was a lucky guess on my part that I was wearing the same jersey as Jens, from his "Shut Up Legs" site. 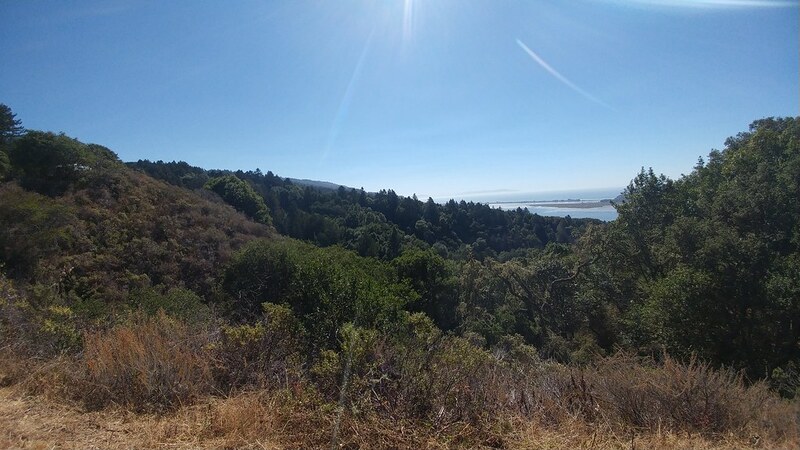 I needed to let my HR recover about half way up Mt Tam, so I stopped at a viewpoint and took a few photos. 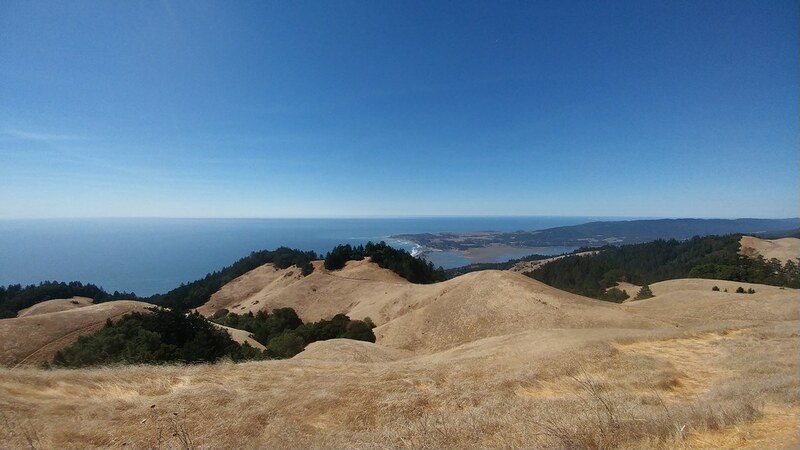 View from near the highest point looking over the pacific. 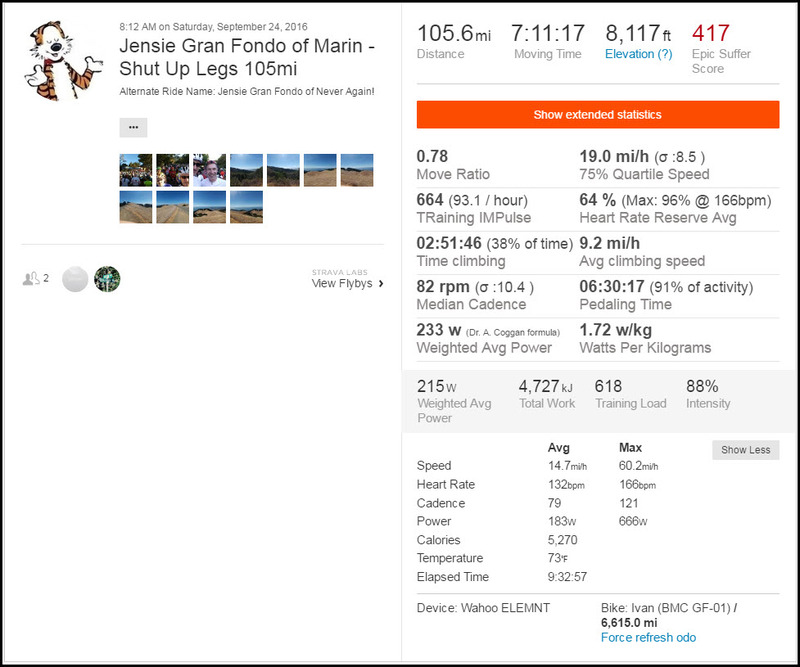 And the ride stats. I've ridden 100 miles or more quite a few times, and once or twice with this much elevation, but, perhaps because I was fighting a cold or something, this was really hard. By the time it was over, I was done. It took me an hour or so to recover enough to be able to drive back to the hotel. I'll probably make the 'end of summer bike vacation' an annual event. Considering doing the RBC Whistler and/or RBC Banff Gran Fondo's next year. Or, possibly a week long tour of southern Utah by bike with Bicycle Adventures. Dude, awesome. Great pics man. Though looking at that bike seat is making my *** hurt. Just think how the bike seat must feel? Getting past the seat pain thing is just a matter of finding a seat that is relatively compatible with your anatomy, getting used to it (start with lots of short rides), and coming to terms with a little discomfort. That really applies to cycling in general. gel pads and soft cushy seats are great for short rides. I mean they feel great, but if you ride for more than a few minutes, they just end up bruising you worse than a hard flat seat. Think about it, if soft chushy seats were better, pros would be using them, but most of those guys and gals sit on hard carbon fiber seats with little or no padding at all. The reason is, your sit bones (ischial tuberosity) are relatively small, and end in a point about the size of your thumbs. You want these bones to bear your weight, not the soft tissue surrounding them. Take a look at this article by Cervelo, called 4 and half rules of road saddles. It pretty much covers the important stuff. Of course if you are only riding once or twice a week, and for less than 45 minutes at a time, it's probably not going to matter. You are going to get soreness and seat pain regardless. Who is Nominal Sir and does FarSky know Phe is **** him?